Cheddar cheese is a popular cheese that originated in the village of Cheddar, England. It is a firm, cow’s milk cheese that ranges in flavor from mild to sharp and in color from a natural white to pumpkin orange. Cheddar cheese consists of a high concentration of essential nutrients, in particular high quality protein and calcium, which are great for your health. These are the reasons that it is so important to eat dairy, and cheddar cheese is better than almost every other dairy product out there. It is a type of hard cheese with a sharp or acidic taste. Cheddar cheese is created by chopping the firm milk curd finely to drain the whey. Then, the cheese is processed into blocks or cylinders. Cheddar cheese is often off-white in color. 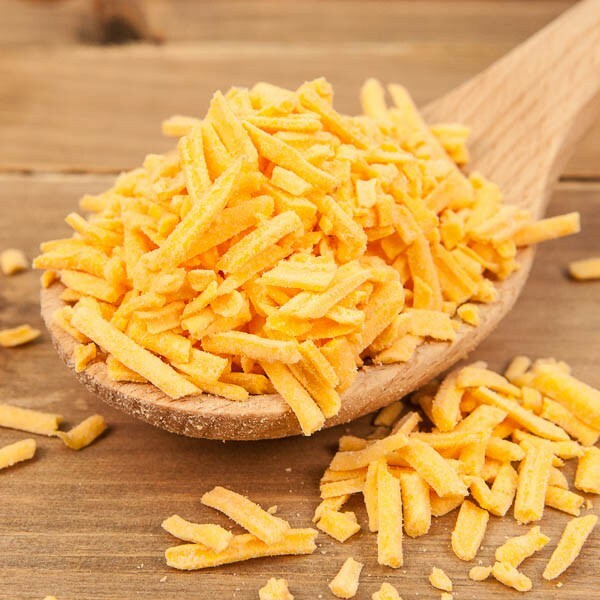 But some types of cheddar cheese are deep orange or yellow in color because they are dyed with annatto seeds or carrot juice. Although mozzarella cheese is the most popular of all cheese types, cheddar cheese is most popular in the UK. In fact, cheddar accounts for 51% of the country’s cheese market each year! Of all types of cheddar cheese, Cheshire cheese is the oldest in Britain. In the US, almost 90% of cheeses sold are of the cheddar variety. Cheddar cheese is a wonderful source of high-quality protein. Just a slice yields about 7 grams of protein, which fulfills about 14% of your daily needs of this nutrient. And get this; the protein you get from cheddar cheese is a complete protein. This means the protein is loaded with all essential amino acids the body needs to keep the muscles healthy. Additionally, protein is slow burning so it is filling. When you feel fuller for longer, you are less likely to make poor food choices later in the day. Consuming a serving of cheese every day help to reduce your risk of developing chronic diseases including osteoporosis, diabetes, heart disease and high blood pressure. 1.5 ounces serving of cheddar cheese is equivalent to about a cup of dairy. This serving also fulfills a third of your daily recommended serving of dairy. 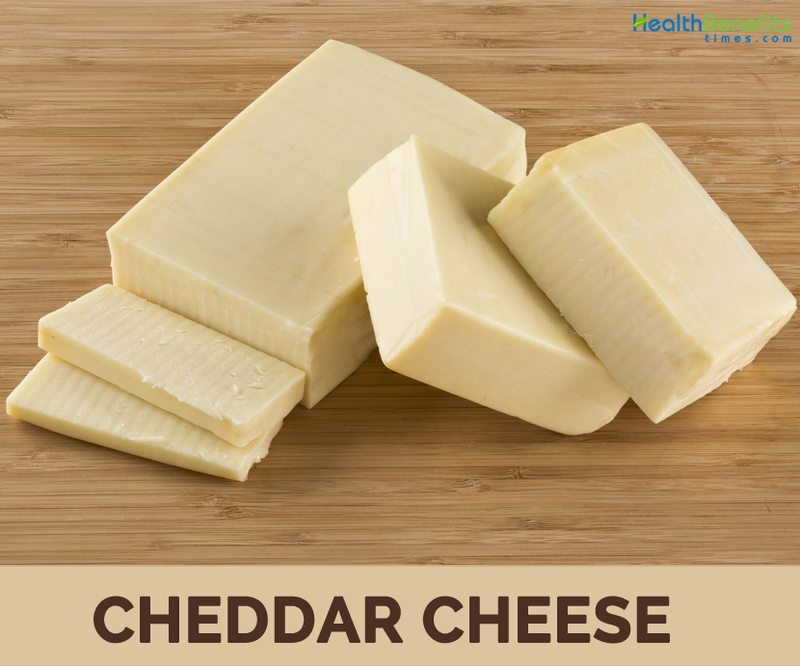 Cheddar cheese is high in calcium and vitamin D, nutrients that protect from chronic diseases. An ounce serving of cheddar cheese consists of about 202 milligrams of calcium, which fulfills about 20% of your RDA of this mineral. Calcium helps keep the bones dense and strong. This mineral also assists in proper nerve and muscle function. 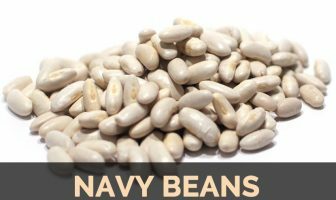 The same serving also yields about 143 milligrams of phosphorus, 0.9 milligrams of zinc and traces of potassium, iron, and magnesium. Phosphorus boosts proper kidney function and protects the DNA from damage. It also promotes immunity. Cheddar cheese is loaded with a host of essential vitamins. 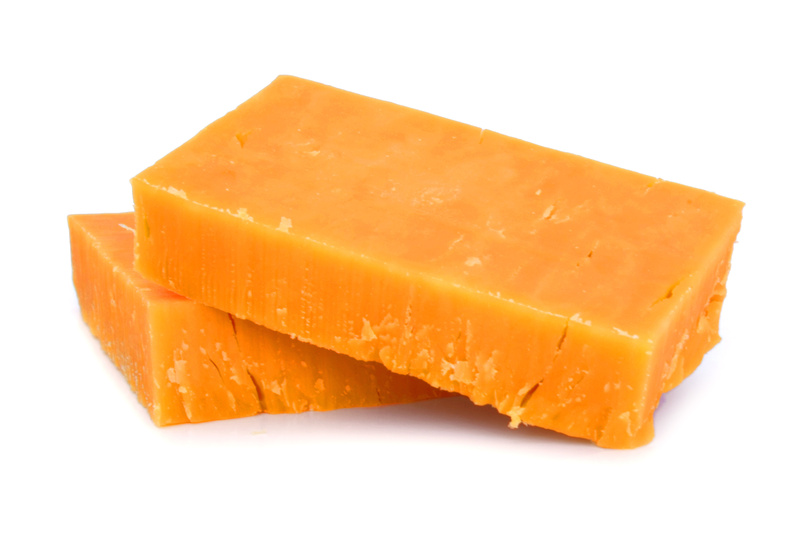 Just an ounce serving of cheddar cheese consists of about 281 international units of vitamin A, which fulfills 6% of your RDA of this nutrient. 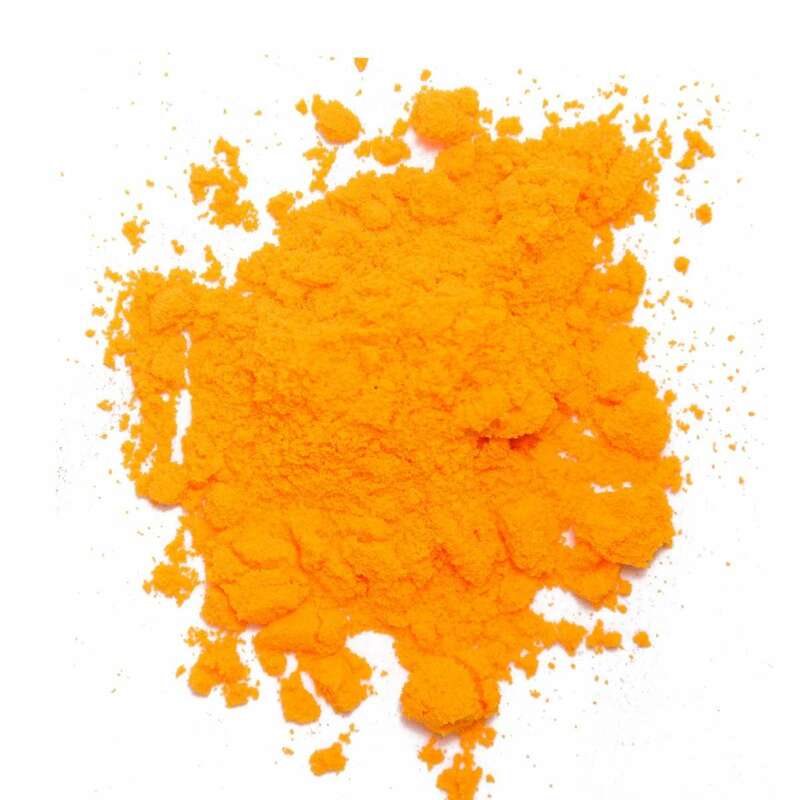 Vitamin A keeps the eyes healthy and safeguards from free radical damage. This serving yields about 0.2 micrograms of vitamin B-12, and 0.1 milligrams of riboflavin. Riboflavin assists in the formation of red blood cells. This nutrient is also a critical part of converting food into energy. An ounce of cheddar also contains traces of thiamine, niacin, vitamin B-6, folate and vitamins D, E and K! All these nutrients keep the blood, bones, and muscles healthy! In the USA, cheddar cheese is the second most popular cheese in the country, falling just slightly behind Mozzarella. Cheese takes up roughly 1/10 the volume of the milk it was made from. In 1989, Oregon members of the Federation of American Cheese-makers created the largest cheddar cheese ever – weighing 56,850lbs. For the 1964 World’s Fair in New York, Wisconsin created a 34,951lbs cheddar cheese from the milk of 16,000 cows. In 1901, Scott of the Antarctic took 3,500lbs of cheddar (made in Cheddar itself) on his famous expedition. The first cheese factory in the United States was built in 1851 by Jesse Williams in Oneida County, New York. Before the First World War, more than 3,500 cheese producers were in Britain – fewer than 100 remained after the Second World War. Giant wheel of cheddar cheese was presented to Queen Victoria in England for a wedding gift back in 1840 – it weighed over a whopping 1,000lbs. An average cheddar wheel weighs just 60-75lbs. Cheddar is the most popular cheese in the United Kingdom, accounting for 51% of the country’s 1.9 billion pound sterling annual cheese market. Cheddar cheese is the second most popular cheese in the United States, second to mozzarella, with an average annual consumption of 10 pounds, or 4.5 kilograms, per capita. The United States produced nearly 3 billion tons of Cheddar cheese in 2014, and the United Kingdom produced 262,000 tons in 2008. The term “Cheddar cheese” is widely used, but has no protected designation of origin within the European Union. Cheeses that are more similar in taste and appearance to Red Leicester are sometimes popularly marketed as Red Cheddar. Cheddar Gorge, on the edge of Cheddar, Somerset, contains many caves, which provided the ideal humidity and steady temperature for maturing Cheddar cheese. Cheddar cheese traditionally had to be made within 30 miles, or 48 kilometers, of Wells Cathedral. Cheddar cheese has been produced since at least the 12th century. The Joseph Harding method was the first modern system for Cheddar production based upon scientific principles. Joseph Harding’s sons, Henry and William Harding, were responsible for introducing Cheddar cheese production to Australia and facilitating the establishment of the cheese industry in New Zealand. According to local legend, Cheddar cheese was discovered by accident over 800 years ago when a milkmaid left a pail of milk in the nearby Cheddar Gorge caves and returned some time later to find the milk had turned into cheese. Today many countries including Sweden, Austria, Ireland, Australia, New Zealand and the U S A (Wisconsin, South Dakota, New York, Idaho, Minnesota, and Oregon) produce significant quantities of cheddar. In a large pot, heat the milk to 85°F, stirring frequently. As the milk is heating, add the calcium chloride, if using. When the milk gets to 85°F, add culture, stir in with an up-and-down motion, cover, and ferment for 1 hour. Stir to homogenize the milk, and slowly fold in the diluted rennet. Using an up-and-down motion with your spoon will ensure that the rennet works its way through all the milk, so you can get the highest possible yield. Allow the cheese to set for 1 hour, or until the whey begins to separate from the curd. You should see a layer of mostly clear whey floating on top of the curd, and the curd should be pulling away from the sides of the pot. Using the knife carefully cut the curds into ¼-inch cubes and allows setting for 5 minutes. Do not stir. 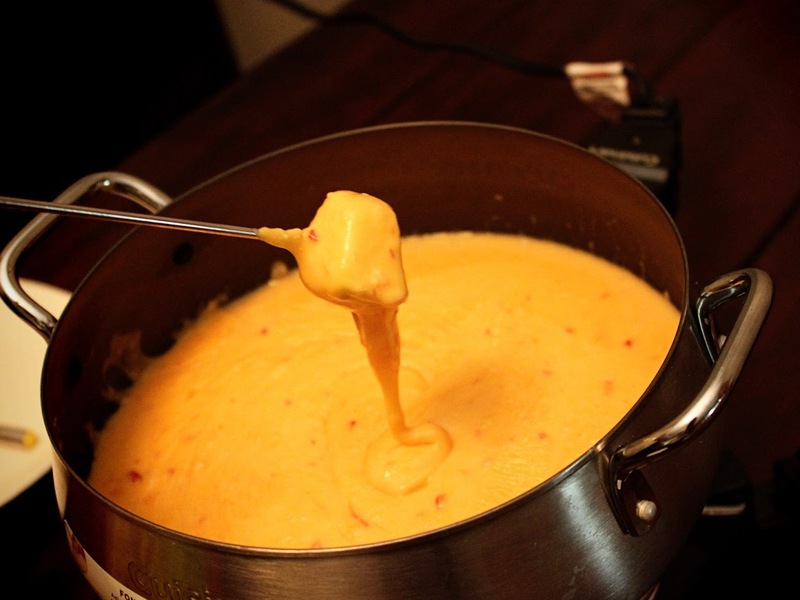 Over the next 30 minutes, slowly heat the curds to 100°F, stirring frequently. As you stir, the curds will shrink. Once the curds are at 100°F, maintain the temperature and continue stirring for the next 30 minutes. If the curds get too hot, remove from heat. After 30 minutes, stop stirring and allow the curds to settle to the bottom of the pot. This will take about 20 minutes. Pour the curds into a colander. Place the colander and curds back into the cheese pot and allow draining for 15 minutes. Remove the colander from the pot and turn the curds out onto a cutting board. You should have a semi-solid mass that looks like jelly. Pour the whey out of the pot, cut the mass into five slices, and place back into the pot. Cover. Fill a sink or basin with 102°F water and place the pot and curds into it. Keeping the temperature of the curds right around 100°F, turn the slices every 15 minutes for the next 2 hours. This is the cheddaring process and will give your cheese its unique flavor and deliciousness. After 2 hours, the curds will be shiny and very firm. Remove them from the pot and cut into ½-inch cubes. Place back in the pot, cover, and place in the sink filled with 102°F water. Remove the cheese from the press, unwrap, and flip the cheese. Re-wrap using a fresh piece of cheesecloth, and press at 40 pounds of pressure for 12 hours. Remove the cheese from the press, unwrap, and flip the cheese. Re-wrap using a fresh piece of cheesecloth, and press at 50 pounds of pressure for 24 hours. 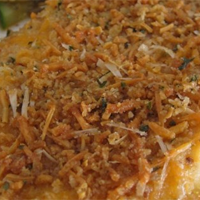 Dip each chicken breast in the garlic butter to coat, then press into the bread crumb mixture. Arrange the coated chicken breasts in a 9×13 inch baking dish. Drizzle with any remaining butter and top with any remaining bread crumb mixture. Preheat oven to 400 degrees F (205 degrees C). Grease a cookie sheet, or line with parchment paper. 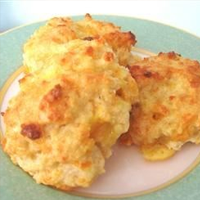 In a large bowl, combine baking mix, Cheddar cheese, and garlic powder. Stir in milk. Drop batter by heaping tablespoonful onto prepared cookie sheet. Bake in preheated oven for 10 minutes. 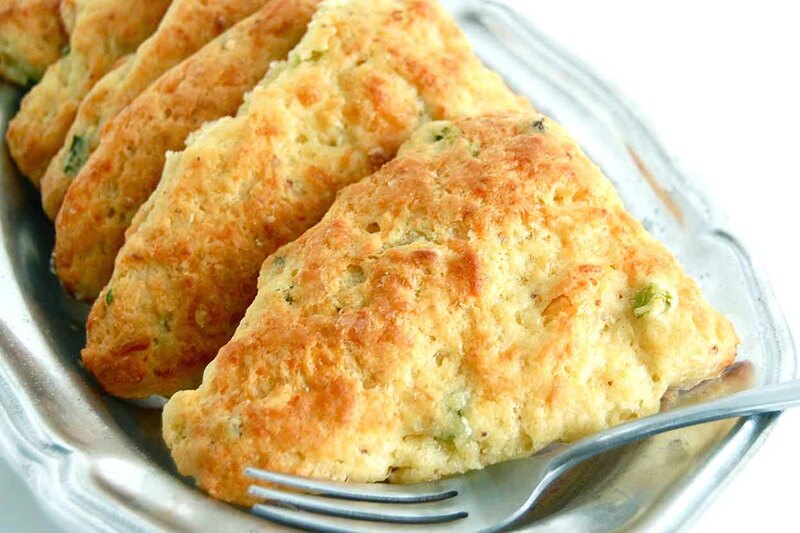 Brush biscuits with melted margarine, and sprinkle with parsley and garlic salt. Bake for 5 more minutes, or until lightly browned on the bottom. Heat the milk in a small saucepan. Stir in mustard, Worcestershire sauce, salt, and hot sauce. Set aside. 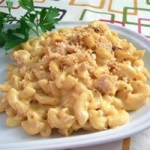 Stir 1 1/2 tablespoons butter and 3 cups cheese into the drained macaroni. 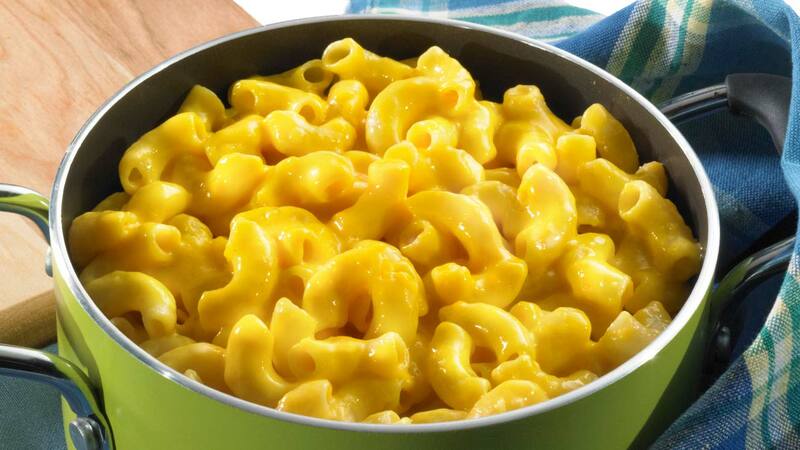 Pour the hot milk mixture over the cheese and macaroni. Transfer to prepared baking dish. Sprinkle remaining 1/2 cup cheddar on top. Combine the bread crumbs with the melted butter, and spread over the top. Sprinkle with paprika. Bake in preheated oven for 30 minutes, and then place under the broiler for 1 to 2 minutes. Calories 115 K cal. Calories from Fat 85.23 K cal. Calories 50 K cal. Calories from Fat 26.46 K cal.